Zurich is the largest city in Switzerland and one of the most important financial centers in the world. Situated 400 meters above sea level along the northern shores of Lake of Zurich. 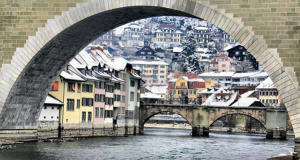 Zurich originated during the Roman Empire, as a customs station and commercial center (Turicum). The city developed greatly during the Middle Ages, becoming part since the fourteenth century of the Swiss Confederation. From the point of view of tourism, Zurich is now known for its major museums, including the Swiss National Museum and the Kunsthaus Zürich, rich in masterpieces of Impressionist and contemporary artists (Gauguin, Monet, Manet, Pissarro, Picasso, Klee, Renoir, Degas Van Gogh, Chagall, Munch and Giacometti). 1) Christmas Market at the Station of Zurich (Zürcher Christkindlimarkt – Zürich Hauptbahnhof). 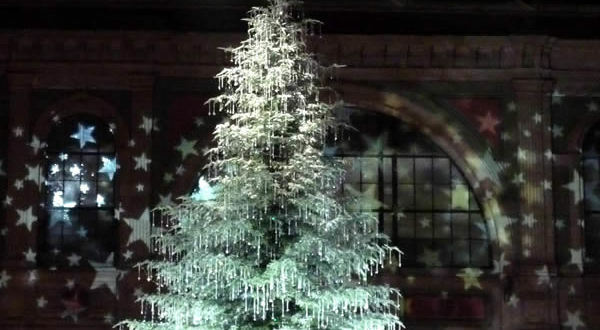 The market takes place inside the train station in Zurich, is the largest indoor market in Europe, with more than 160 wooden chalets and a Christmas tree, which is over 15 meters high and decorated with over 5,000 ornaments Swarovski Crystal. Opening: 22 November – 24 December 2018. Opening Hours: Open from Sunday to Wednesday from 10.30 to 21.00; Thursday to Saturday from 10.30 to 22.00. Market close on December 24 at 16.00. 2) Christmas Market in the Old Town of Zurich (Weihnachtsmarkt im Dörfli). In Hirschenplatz in Niederdofstrasse and Rosenhof, artisans and vendors from all over the world attract visitors with their goods on display at the traditional Christmas market, the oldest Christmas Market in Zurich. Opening: 22 November – 23 December 2018. Opening Hours: Open from Monday to Saturdays from 11.00 to 21.00; Sundays from 11.00 to 20.00. 3) Christmas Market at Werdmühleplatz (Wiehnachtsmärt Singing Christmas Tree). The Christmas market with choirs of children under the Christmas tree. At Werdmühleplatz on the lower Bahnhofstrasse in Zurich. Opening: 23 November – 23 December 2018. Opening Hours: Open Monday to Thursday from 16:00 to 21:00; Friday from 16:00 to 22:00; Saturday from 13:00 to 22:00 and Sunday from 13:00 to 21:00.